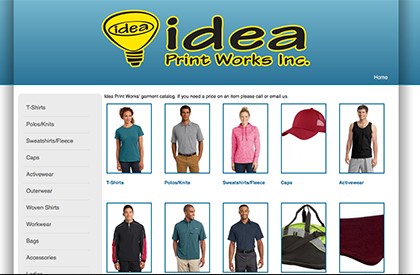 For over 35 years Idea Print Works has been creating custom clothing for business, retail, schools, events, fishing boats, rocks bands, you name it. No order is too big or to small, and we ship anywhere in the USA. Send us your ideas and we will make you a custom design. Your business team will look sharp and professional with custom embroidered polos, hats, bags, etc. Once we have your logo digitized and in our system, ordering is fast and easy. 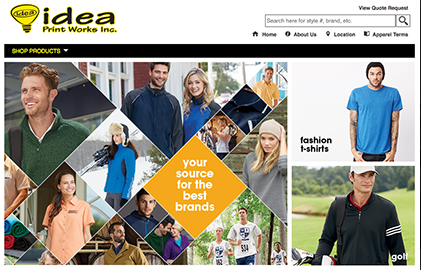 We can order just about any brand from Nike, Ogio, FlexFit, New Era, and more. 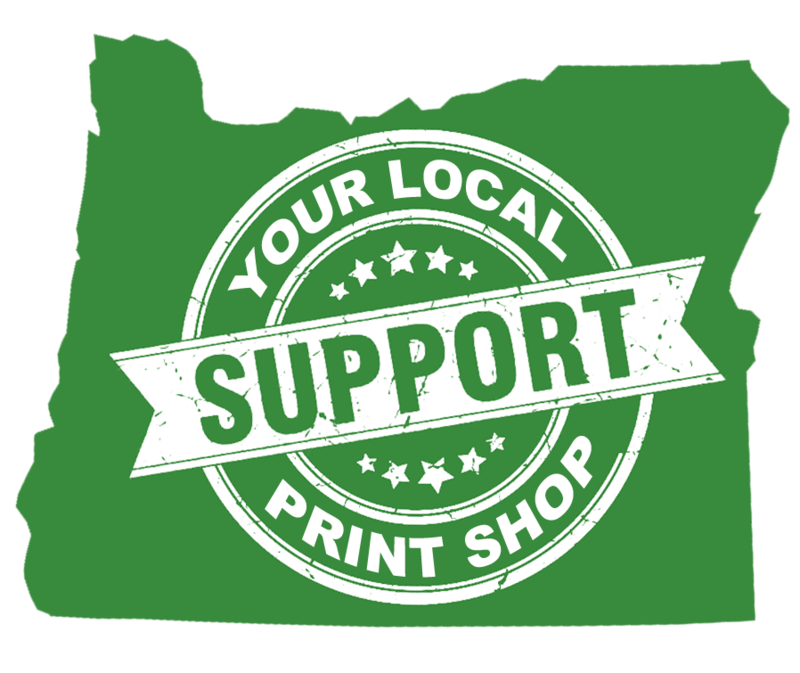 We print a lot of t-shirts, but we also are your source for promotion items such banners, pens, drink coolers, bags, drinking glasses, mugs, etc. all branded with your logo on them. Need a logo? We also provide graphic design creative services. Check out our services page. Looking for samples of garments that we regularly print on? Take all the guesswork away from pre-ordering merchandise! Questions or have an Idea?